Home » Professionals » Teresa Ombres, Esq. Teresa Ombres is a graduate of Fordham University and New York Law School. She has been a lawyer since 1981, a mediator since 1996 and has practiced Collaborative Divorce since 2001. Her practice is a blend of contested cases, mediations and collaborative family and divorce cases. Regardless of the nature of the case, she is committed to acting like a human being and helping her clients and adversaries to do the same. 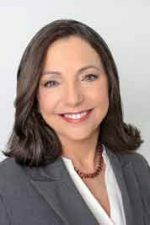 As a board member of the Family and Divorce Mediation Council of Greater New York for 8 years Teresa spent 4 years as co-chair of the Continuing Education Committee and 4 as chair of the Legislative Committee. She was among the first group of lawyers and mediators in New York to be trained in Collaborative Divorce in 2001, and currently serves on the Board of Directors of the New York Association of Collaborative Professionals. She is also a member of the Family & Divorce Mediation Council of Greater New York, the New York State Council on Divorce Mediation, The Association of Professional Family Mediators and is Treasurer and founding member of the New York Chapter of the Association of Family and Conciliation Courts. She belongs to the New York State, Queens Women, Queens County and Nassau County Bar Associations. Teresa is a member of the New York, Queens and Nassau County Divorce Mediation panels and the Matrimonial Special Master/Neutral Evaluation Panel in Nassau County. She also serves as a volunteer Arbitrator hearing fee disputes. For three years, from 2009 to 2012 Teresa taught the Judicial Matrimonial ADR Externship at St. John’s University School of Law. She is a frequent lecturer at law schools, bar associations and professional organizations. Her most recent talk was this past February at the Westchester County Bar Association, Family Law Committee on Collaborative Divorce.